By its own standards, which are making money and boring children, Monopoly is the most successful board game that has ever existed. Which is weird, because nobody actually thinks it's any fun. Of course, that's because it was designed not to be. Monopoly had its roots in a satirical anti-capitalism game made by social activist Elizabeth Magie in 1903. But in the 1930s, Hasbro decided to get rid of satire and just focus on the capitalism, creating the monocle-wearing, mustache-twirling real estate Thunderdome we know today. That model worked wonders for ages, until the 21st century, when anti-capitalist sentiment (and video games) put a real dent in its popularity. But now, with the latest edition of Monopoly, the game has finally found a way to return to its roots, pull them out, discover Elizabeth Magie was buried underneath them, and spit on her grave. Hasbro / Walmart Mr. Monopoly is totally one of those rad tycoons who pays the bus fare for his interns. 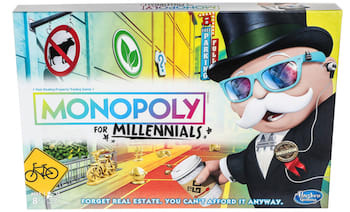 This month, Hasbro has released Monopoly For Millennials, the board game equivalent of a hot take. 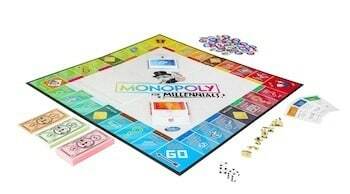 Monopoly For Millennials is more a satire than straight Monopoly, pretending to showcase how capitalism really works for the youngest, brokest generation. Tokens include the hashtag, the smiley face, and the smartphone -- but not other Millennial icons like the DSA badge, the tiki torch, or a middle-schooler in a fetal position during an active shooter drill. And while you still play the game with Monopoly money (which is weird, because we thought Millennials mostly get paid in exposure), you can't use that money to buy property or houses. Like the game's actual tagline hand-wringingly points out, "you can't afford it anyway." Hasbro / Walmart "Because adulting is hard!" And apparently, so is marketing. 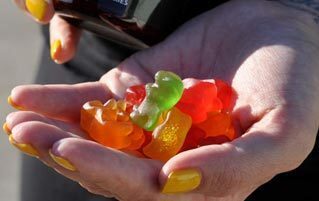 Instead you spend a much smaller pool of income (you make about a tenth of what you do in old-school Monopoly games) on "Destinations," or "places your dad thinks Millennials like to hang out." Buying into these Destinations, which range from parents' basements to week-long yoga retreats, earns you "Experience" tokens, which look like the icon for a Chinese Instagram knockoff. Earn the most Experiences by the end of the game, and congratulations! You're the most successful Millennial of them all. Treat yourself to an extra slice of avocado toast and crippling debt. Hasbro / Walmart "You think you deserve $200 just because you passed Go? Typical lazy snowflake." 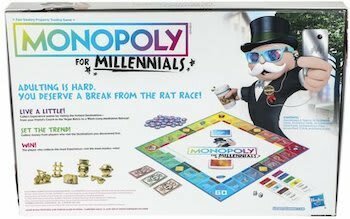 You don't need a participation trophy to quickly figure out that Monopoly For Millennials is a mean game. This isn't a case of a multi-million-dollar company trying to laugh with Millennials -- that's what fast food accounts on Twitter are for. It's having a laugh at Millennials. Chance cards include such specific occasions as "Your lifestyle vlog reaches a million views" and "Your mom posted bail! She's the best." 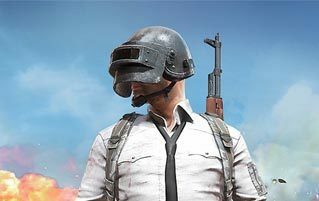 This isn't making fun of late-stage capitalism but a very specific Millennial stereotype mocked by the crusty scabs who read The Federalist and constantly complain about "snowflakes" and "PC culture," who'll gladly shell out the money they made at their dad's company to buy this game ironically. Though that just goes to show that Monopoly will never lose sight of its main demographic: people incapable of having fun. For more, check out The New 'Toy Story' Character Is Freaking Out The Internet and There's A New Twist To The Latest Quentin Tarantino Drama.